A Shropshire MP has become embroiled in a social media row over money handed out to European countries at the end of the Second World War. 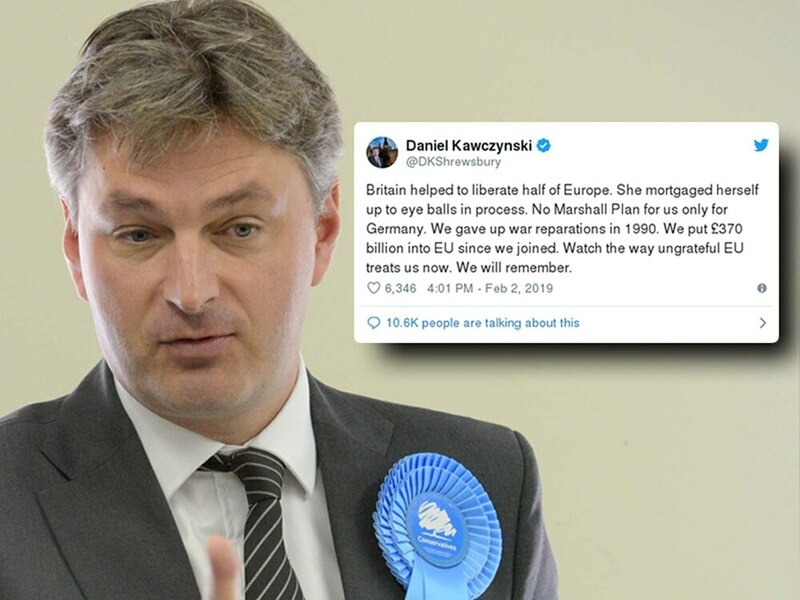 Daniel Kawczynski, the pro-Brexit Conservative backbencher for Shrewsbury and Atcham, claimed in a tweet that there was “no Marshall Plan for us only for Germany”, referring to American payments of more than £12 billion approved in 1948 to help rebuild Europe. The tweet has since received more than 11,000 replies and more than 3,000 retweets with many people questioning the MP's apparent claim about the lack of Marshall Plan aid for the UK. Dr Warren Dockter, an American expert in British history and lecturer in international politics at Aberystwyth University, said: “Dan is categorically wrong about the Marshall Plan." Quoting from The Marshall Plan: Fifty Years After, a seminal academic book on the subject, Dr Dockter said Britain received 26 per cent of Marshall Plan donations, more than any other country. France received 18 per cent and West Germany received 11 per cent, he said. “In addition to Marshall Plan money, the UK received favourable loans and grants on top of the Marshall Plan aid,” Dr Dockter added. Authors Philip Pullman and Emma Kennedy were among the thousands of Twitter users who took aim at Mr Kawczynski's history knowledge, a small selection of whom the MP replied to encouraging them to "get out more". But Mr Kawczynski, 47, stood by his comments, explaining to the Shropshire Star: "There are many people in this country who want to whitewash the sacrifice that Britain has made over generations for Europe. "They say it is not appropriate to look at a country's history to understand her credentials. "Those affiliated to Europe in this country hate any challenge to their point of view. "The furore I can deal with." The row comes less than two weeks after the Polish-born MP faced criticism for formally requesting the Polish Government veto any move for an Article 50 extension that would delay Brexit.